Gross Area: 525,300 sq. ft. The school’s pathway program helps to expose students to different opportunities and prepare them for their next steps. These welcoming building additions and zoning features support student and community business mentoring activities. Conference rooms and Flexible-Team-Learning-Areas offer a variety of meeting and workshop opportunities. 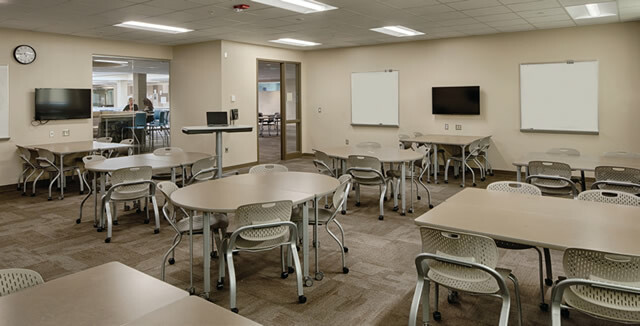 Classrooms are designed without a defined front, and the furniture allows for maximum flexibility. The certified nursing assistant lab, for example, offers the experience of helping students to be a “test away” from certification. The Commons is a public space that is an extension of the learning environment. 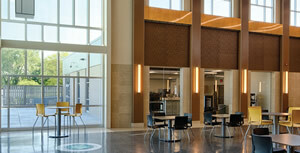 Its other functions include student dining, expo space, performance area, as well as project demonstration space. The glass and overhead doors put learning “on-display”, showing to the community the creative projects students are developing. 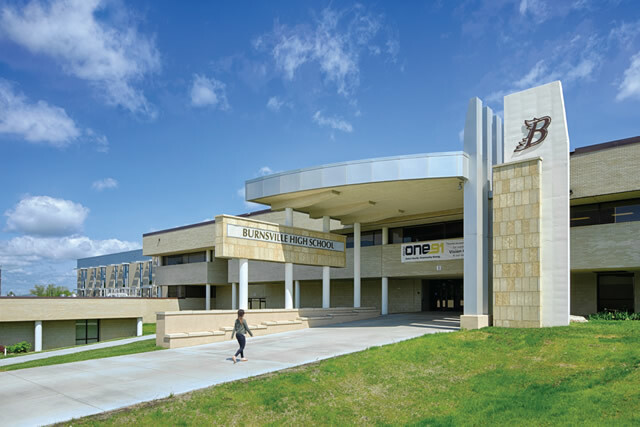 The activities building addition includes additional gym space, overhead interior jogging track, sprint track, dance studio, cardio room, and weight room. These spaces work together to support health and fitness to a broader student and community base. The process of this project was especially unique in how we engaged the community mentors and businesses in the design. There was a conscious effort to provide learning opportunities that would best prepare the students for their future. The design incorporated a Firefly credit union with an ATM. 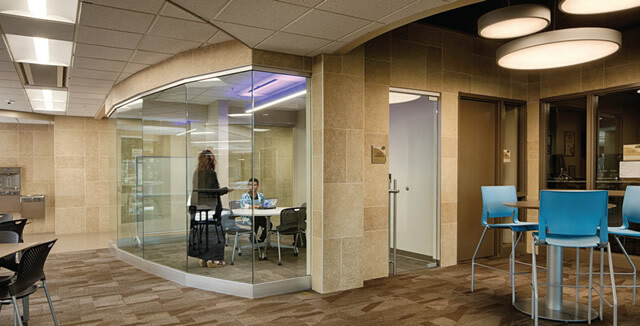 This space provides on-site space for mentoring opportunities in the banking profession. We consulted with a local car dealer ship in the design of the auto shop to better determine the right equipment and experiences that their business will be looking for from the future workforce. We included a variety of lifts and stations to enrich each experience. For the certified nursing program we met with the local community technical college to better understand how to equip the lab. 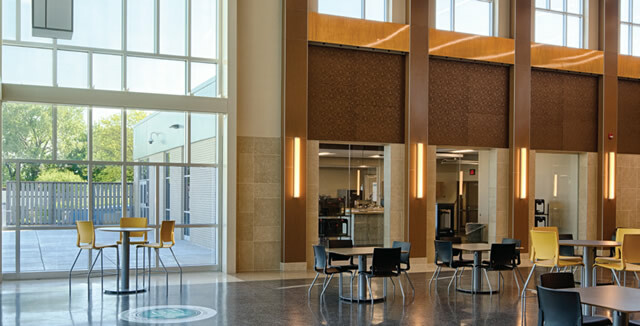 The design was tailored not just for the school, students and teachers but also for the community, its businesses and the future workforce. Nice input from industry experts in planning process. Attractive lighting. High-end appearance. Nice looking facility.